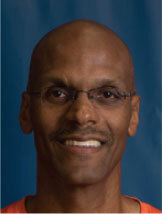 Coach Ronnie Grandison has been training and teaching kids basketball in the Cincinnati area for over 20 years. Ronnie is a former NBA player and has played with the Boston Celtics, Miami Heat, Charlotte Hornets, Atlanta Hawks and New York Knicks. He also played NCAA Division 1 Basketball for the University of New Orleans. At New Orleans, Ronnie led the Privateers to their first Division 1 “Big Dance” tournament appearance and a NCAA Division 1 top 20 ranking. Ronnie played professionally in the CBA where, in 1994, he was voted Most Valuable Player. He has played basketball all over the world: Spain, Venezuela, the Philippines, Israel, and Australia, and others. Ronnie has a passion for teaching basketball and the principles of life through the game. Ronnie has been married for 25 years and has his own team of 5 children.